This year marks the 176th birthday of our Mother Foundress, Blessed Mary of Jesus the Good Shepherd (Frances Siedliska) who followed God’s call to found our Congregation in 1875. 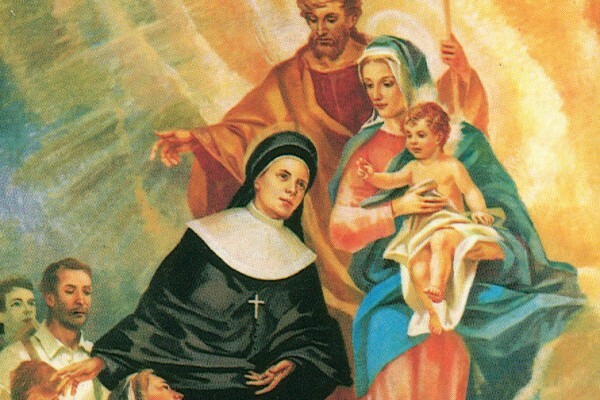 Each November, we celebrate not only her birthday on November 12, but also her liturgical feast day on November 21. Inspired by these special days and with gratitude to our Mother Foundress for her life of faith and service, Sr. Barbara Sudol, CSFN, created this poem. May each of us strive in our ordinary experiences of human life to say “yes” to adventure, to say “yes” to Calvary, and to say “yes” to love. admittance to the Kingdom of God.